I ❤ leeks. They grow well in our cold, wet climate and are abundant this time of year. Check out your local farm (thank you One Love Farm for providing me with these organic beauties!) or farmer’s market to find some. A member of the onion family, these babies become sweet and tender when cooked long and slow. Although they are versatile, this is my favorite way to enjoy them. This rich meal is fit for an special occasion, but is extremely easy to throw together. Due to the (super delicious) mascarpone cheese, this is definitely not an everyday treat, but so worth is when you feel like being naughty. Tasting like the most perfect alfredo sauce, it is perfect enjoyed by a fireplace on a rainy fall day. Heat butter and olive oil over medium low heat. Mince your garlic and finely dice your leeks. 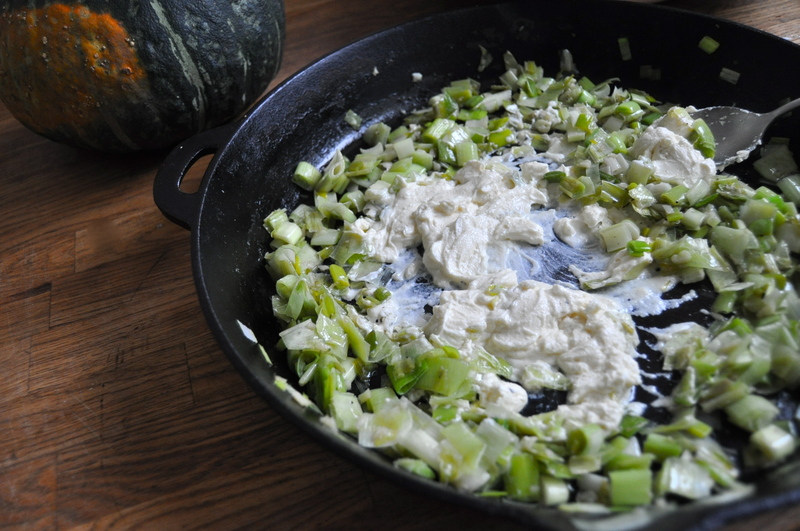 Add you leeks and garlic to the pan and stir to coat in the oil/butter. Put your pot of water on to boil. Salt the water. As you are waiting for your pasta water to come to a boil, continue to stir your leeks and garlic occasionally to prevent them from browning. Once your water is boiling add your pasta to it. Cook to al dente (check package directions for approximate cooking time). Before you drain your pasta, reserve 1 cup of the pasta cooking water. Drain pasta. 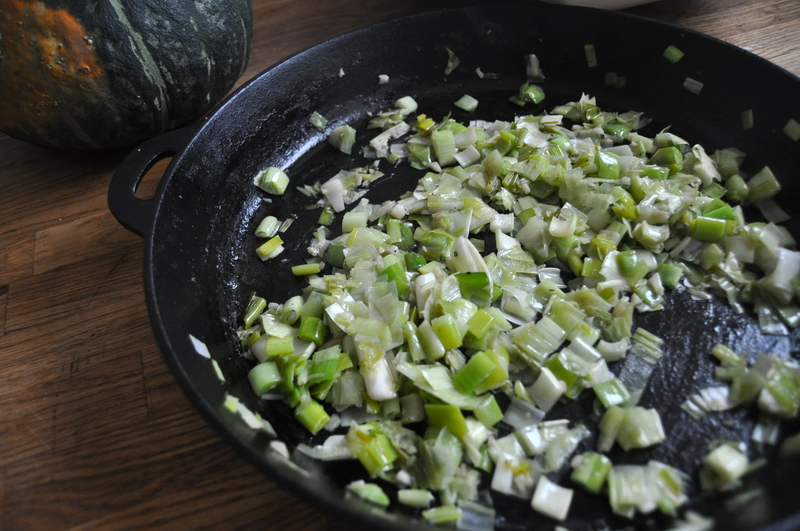 Remove leeks and garlic from heat. Add mascarpone cheese. Add reserved pasta cooking water. Stir to combine into a silky sauce. Add drained noodles. Taste. Add parmesan cheese. Season generously with pepper. Taste. Add more salt and pepper to taste. Serve immediately, garnished with more parmesan. 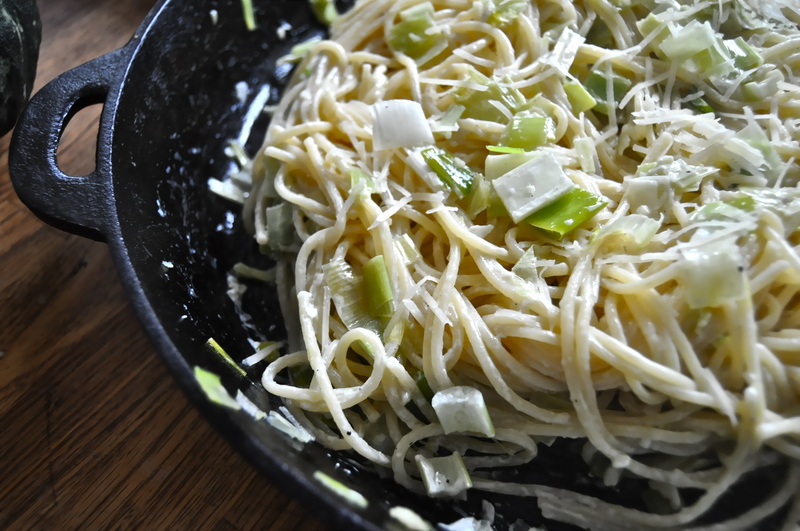 This entry was posted in main, pasta, vegetarian and tagged alfredo, easy, leeks, mascarpone, nut free, pasta, recipe. Bookmark the permalink.